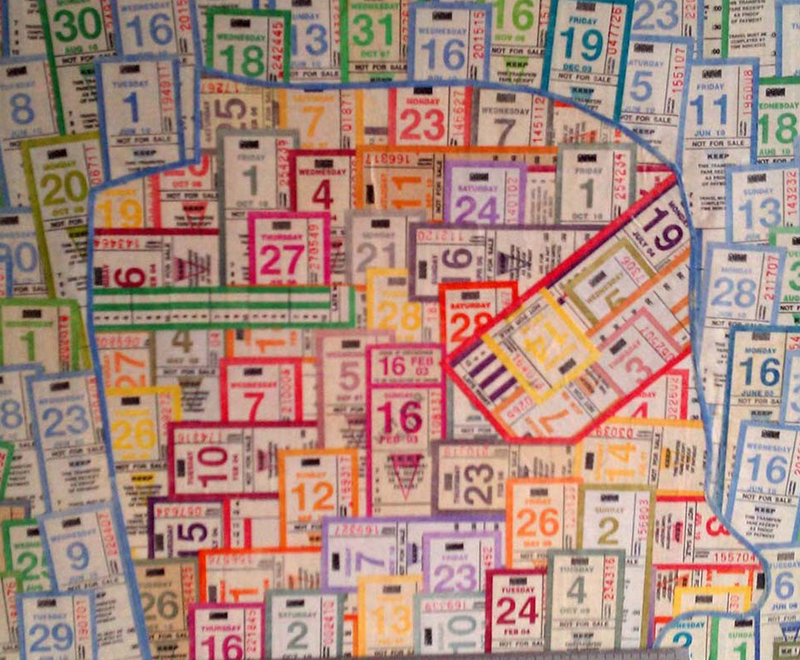 Etsy user beausefus is selling this pretty nifty map of San Francisco, a collage of transfers dating back to early 2003 with an outline of SF. Market Street, Golden Gate Park, and SoMa make appearances. And I swear I see Geary in there somewhere. Check beausefus’ Etsy page for details on how to make this slick collage map yours. Cool stuff, Beausefus. I dig the art on your Etsy page, too.